Tenor AJ Glueckert has been praised by the New York Times for his “clarion, sensitive tenor.” In the 2017-2018 season, Mr. Glueckert will continue as a member of the ensemble at Opera Frankfurt in a variety of leading roles. He will be seen first as Bob Boles in a new Keith Warner production of Peter Grimes conducted by Sebastian Weigle, as well as Flamand in a new production of Strauss’ Capriccio directed by Brigitte Fassbaender and again conducted by Weigle. Later in the season, he sings his first performances of Froh in Das Rheingold and a new production of Janácek’s From the House of the Dead as Skuratov. In the summer of 2018, he will return to Santa Fe Opera for performances of Pinkerton in Madama Butterfly. AJ Glueckert made his Metropolitan Opera debut as Erik in Der fliegende Holländer conducted by Yannick Nézet-Séguin in the 2016-2017 season. He was in Frankfurt as Lyonel in a new production of Flotow’s Martha conducted by Sebastian Weigle, Don José in Barrie Kosky’s acclaimed production of Carmen, Raffaele in Stiffelio, and Erik in Der fliegende Holländer, again conducted by Weigle. He debuted at the Glyndebourne Festival as Bacchus in Ariadne auf Naxos to great critical acclaim. At the San Francisco Opera, Mr. Glueckert was seen as Beadle Bamford in Sondheim’s Sweeney Todd, Normanno in Lucia di Lammermoor, Vogelsang in Die Meistersinger von Nürnberg, and Steuermann in Der fliegende Holländer. He made a successful Opera Theatre of Saint Louis debut as Bacchus in Ariadne auf Naxos conducted by Stephen Lord. 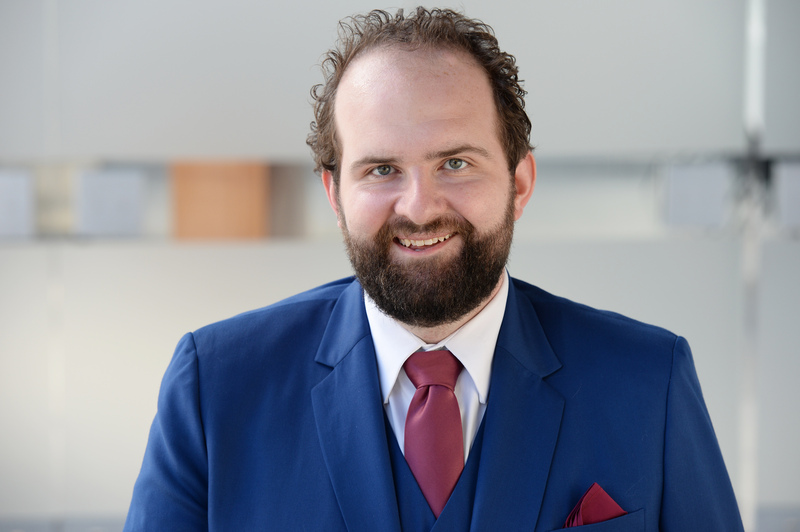 Mr. Glueckert made his European debut at Oper Frankfurt as the Prince in Rusalka, a role he also sang at Minnesota Opera and New Orleans Opera. He made his role debut as Don José in Carmen at Pittsburgh Opera. In his final year as an Adler Fellow at the San Francisco Opera, he was seen in productions of Norma as Flavio, Susannah and Un ballo in maschera. He created the role of the Crown Prince in the world premiere of Kevin Puts’ Silent Night at Minnesota Opera and Opera Philadelphia. Mr. Glueckert is an alumnus of the Adler Fellowship and Merola Opera Program, both at the San Francisco Opera. As a resident artist with Minnesota Opera, he was heard as Arturo in Lucia di Lammermoor, as well as covering the title role in Werther and Pinkerton in Madama Butterfly. He is also a graduate of the young artists programs at Santa Fe Opera and Utah Opera, singing the Simpleton in Boris Godunov with Utah Opera. In concert, Mr. Glueckert has been heard in Handel’s Messiah with the Utah Symphony and Beethoven’s Symphony No. 9 with the Santa Clara and Sacramento Symphony Orchestras. A two-time winner of the regional Metropolitan Opera National Auditions, he holds a degree from the San Francisco Conservatory of Music.